Lucy Knisley loves food. The daughter of a chef and a gourmet, this talented young cartoonist comes by her obsession honestly. In her forthright, thoughtful, and funny memoir, Lucy traces key episodes in her life thus far, framed by what she was eating at the time and lessons learned about food, cooking, and life. Each chapter is bookended with an illustrated recipe--many of them treasured family dishes, and a few of them Lucy's original inventions. Lucy Knisley is the author and illustrator of beloved graphic novels about memory, identity, food, and family. 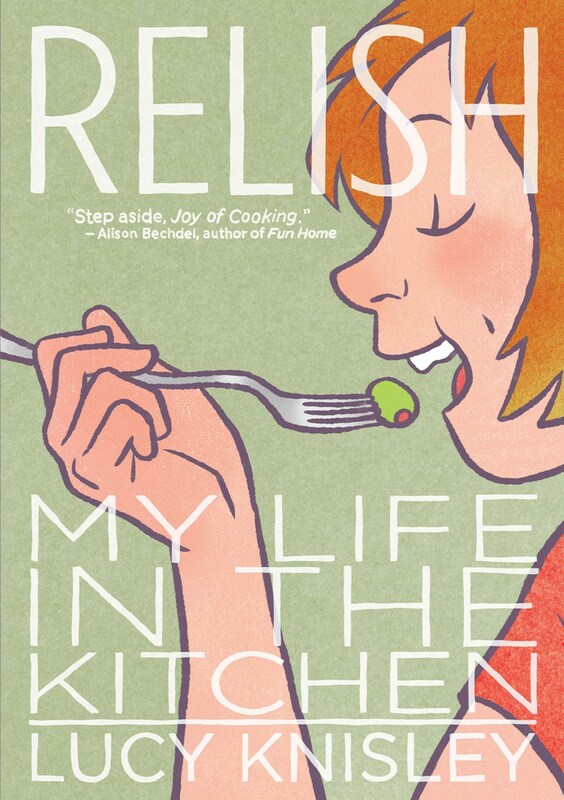 Her Alex Award-winning graphic novel, Relish: My Life in the Kitchen, tells the story of her childhood steeped in the food industry. It was a New York Times bestseller and has been translated into five languages. Her travelogues ( French Milk, An Age of License, and Displacement) and web comic series ( Stop Paying Attention) have been lauded by critics, and her combined work has built her a devoted readership for her honest and thoughtful true-life stories. Her graphic memoirs include Something New: Ta les from a Makeshift Bride and Kid Gloves. Our next meeting will be February 27, when we will discuss October by China Mieville.